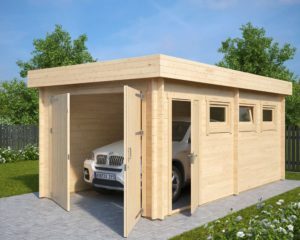 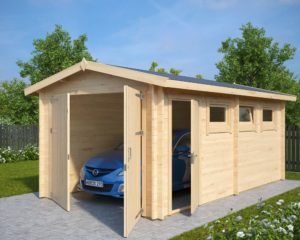 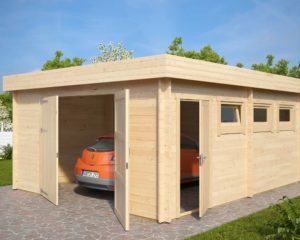 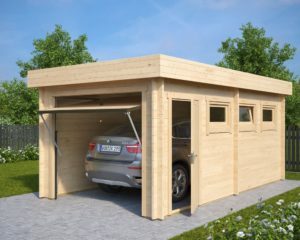 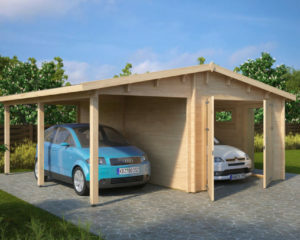 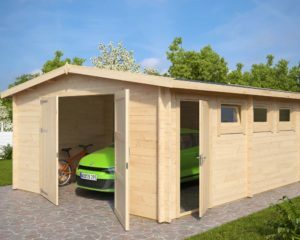 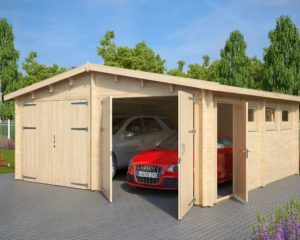 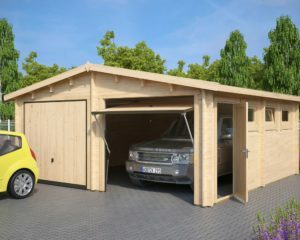 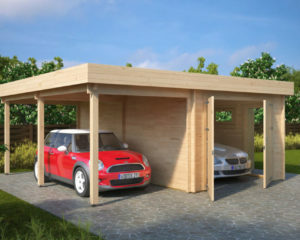 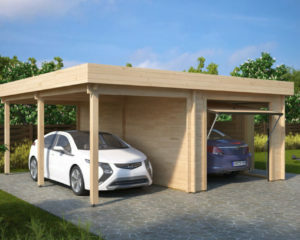 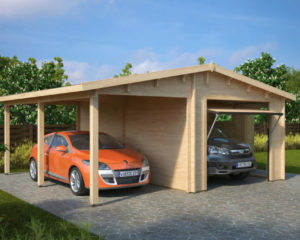 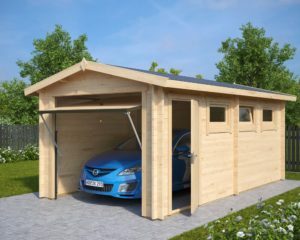 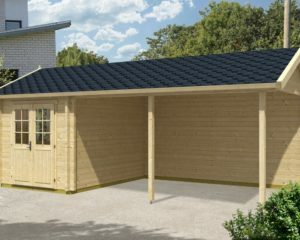 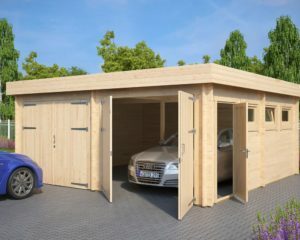 Our DIY timber garages, double garages and carports are the fastest and probably the cheapest way to build. 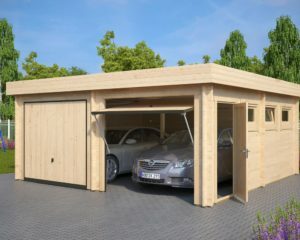 They are all supplied in full sets: sturdy 44mm prefabricated interlocking double tongue and groove wall planks made of the finest Nordic spruce, double glazed windows, 18mm roof boards, strengthening metal storm braces inserted throughout the entire wall in four corners, roofing felt, nails, screws, detailed plans, assembly manual and classic double doors or German made Hörmann up and over doors depending on your choice. 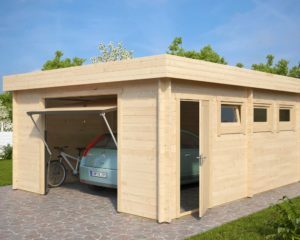 Factory guarantee is 5 years, but with proper care they last for decades. Installation time is usually 2-3 days for a DIY’er, while our professional fitters install most of our wooden garage models within a day.